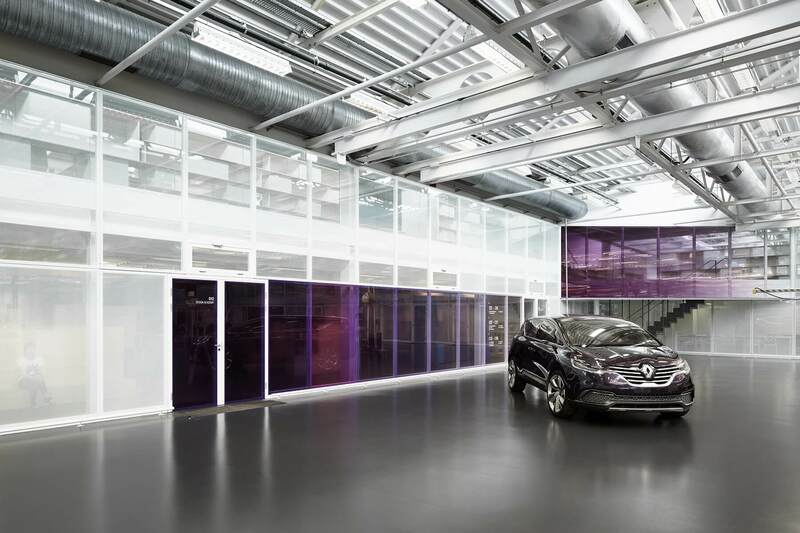 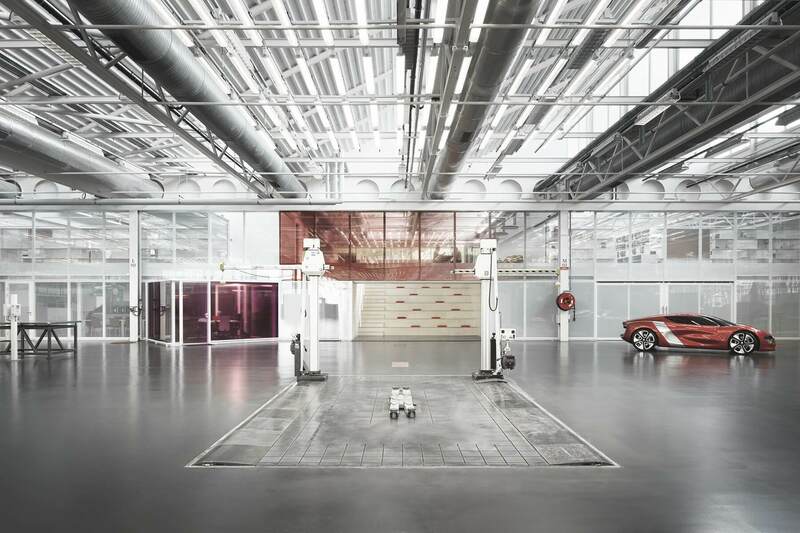 Joran Briand Associate collaborated with the Chartier Dalix practice on the large scale Renault Design Center redevelopment project. 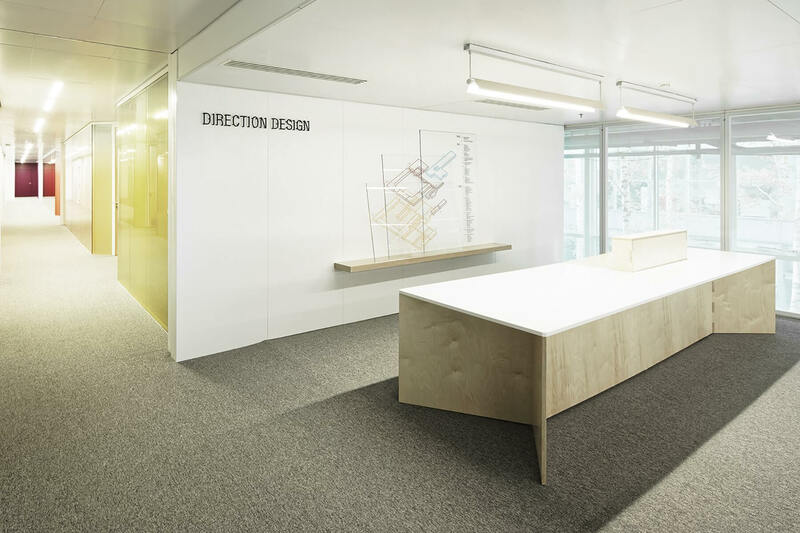 Joran Briand Associate provided the signage and furniture design for the design center. 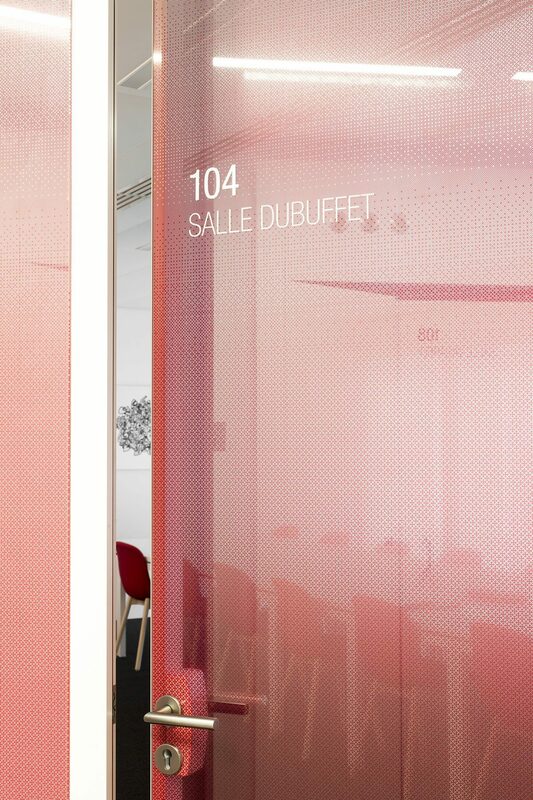 For the signage, Joran Briand Associate designed a graphic system using coloured backgrounds of varying density. 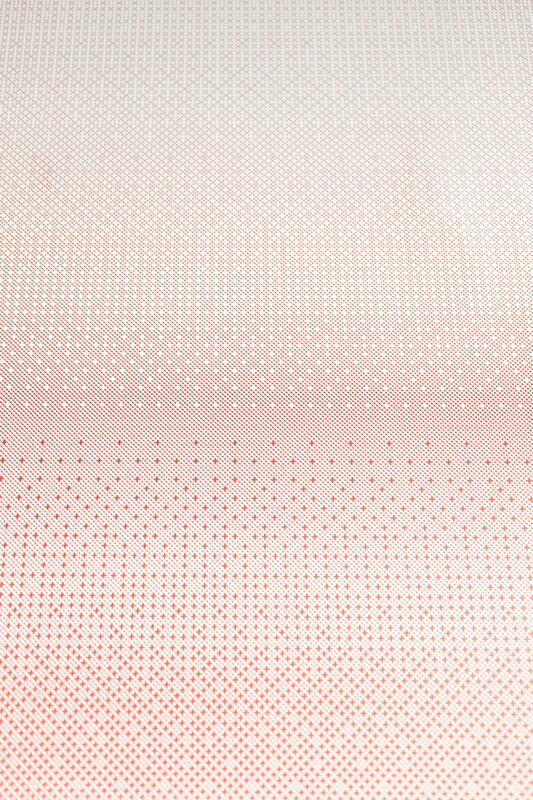 Screen printed onto glazing throughout the centre, this technique was able to generate different levels of exchange to correspond with the spaces’ usage and confidentiality constraints. 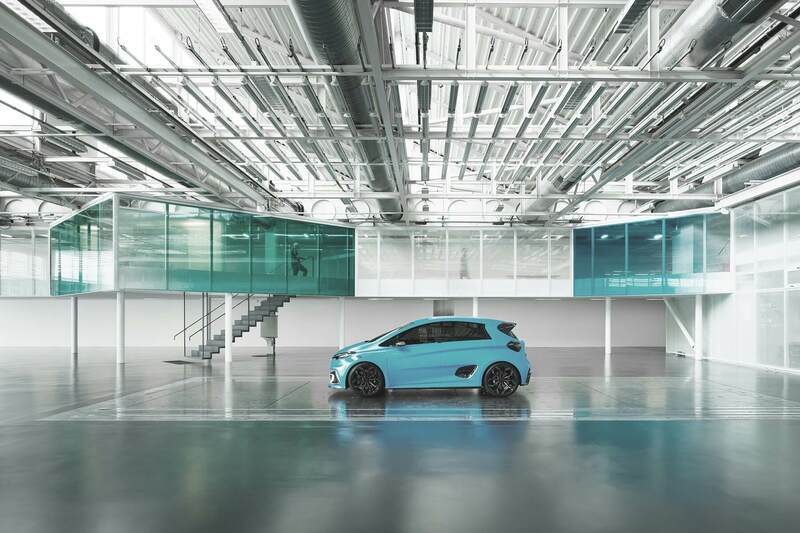 We used the Renault group graphic charter, divided for location and directional signage. 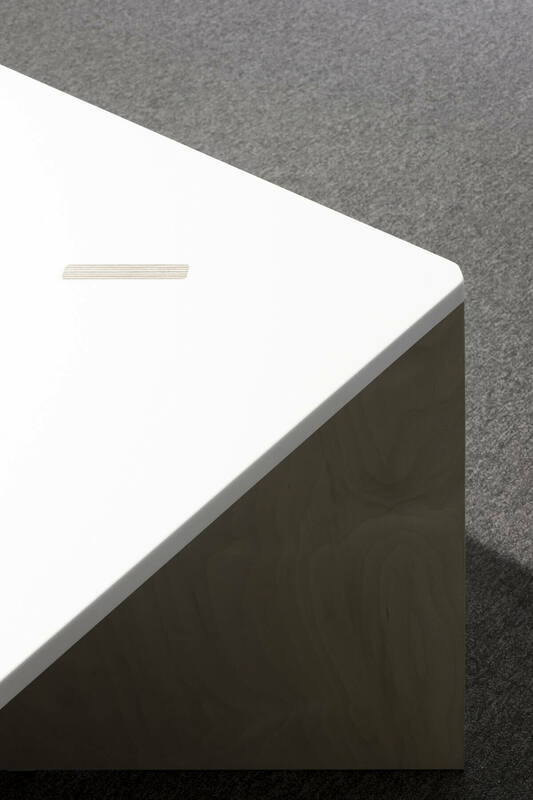 Location signage is minimalist and applied by screen printing or as a sticker. 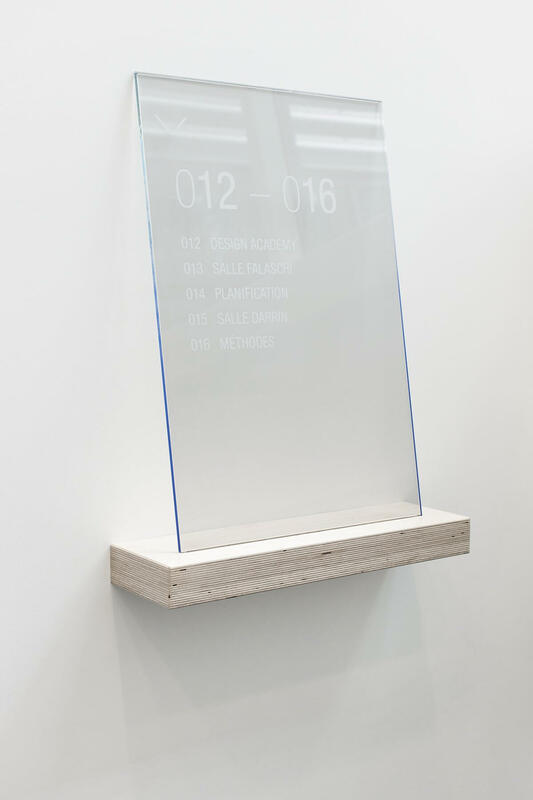 Directional signage comprises glass panels on wooden wall tablets, providing a warm and creative touch. 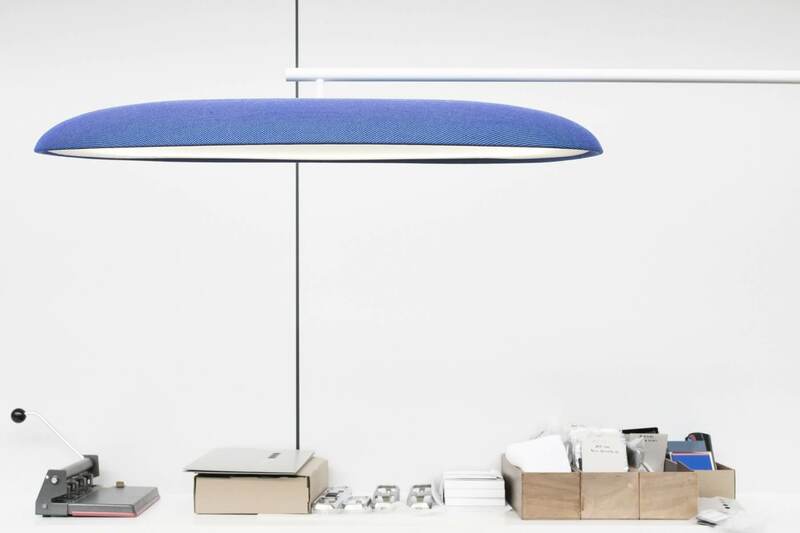 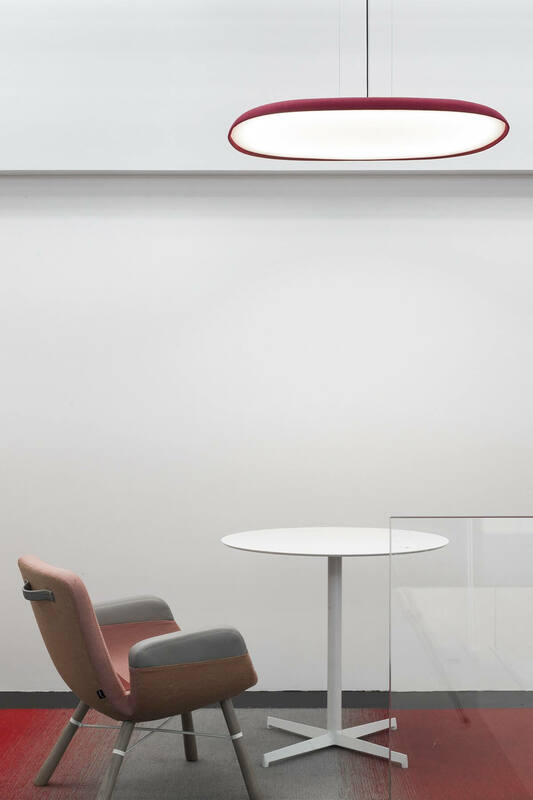 Joran Briand Associés designed a lightweight, informal stool, a seat pad for use on the tiered seating, and a range of lighting comprising an overhead unit and a desk lamp. 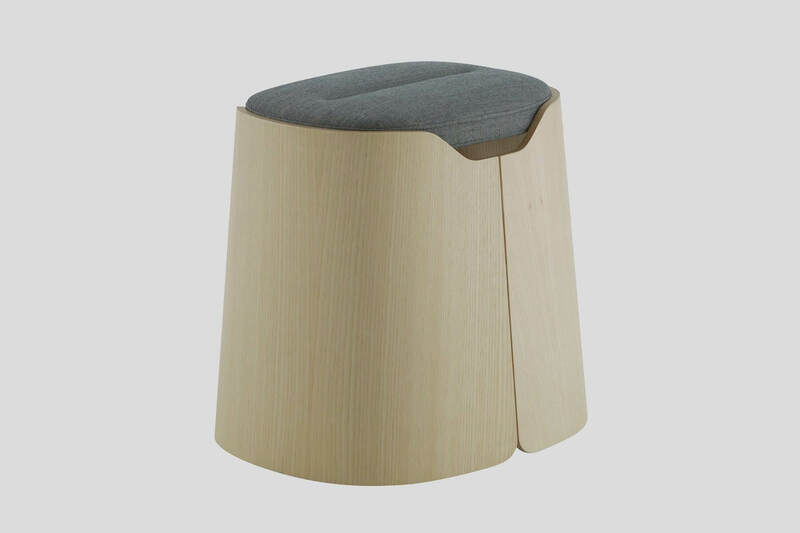 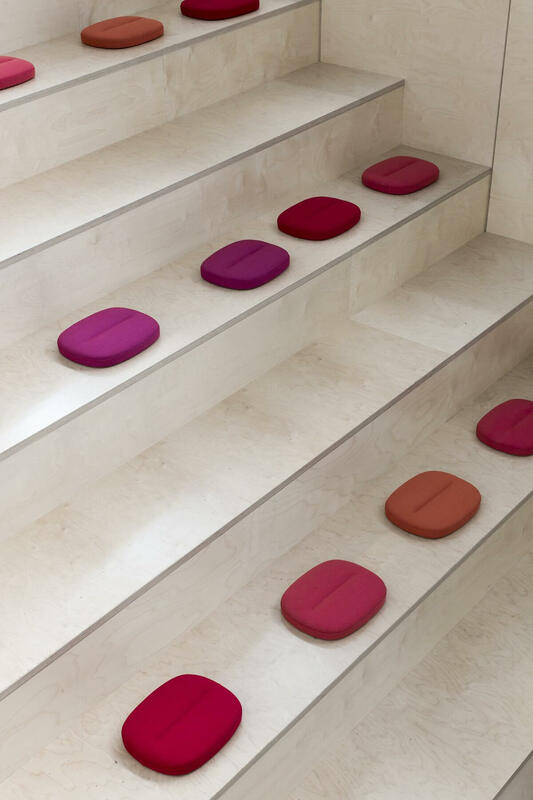 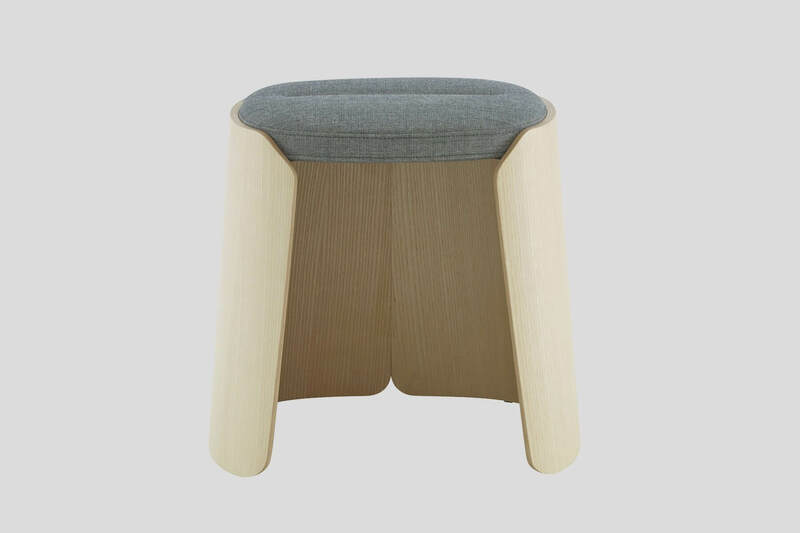 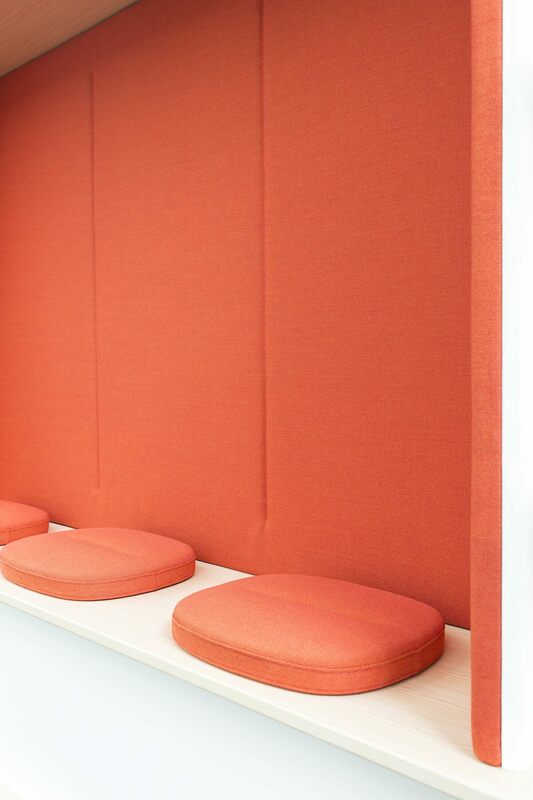 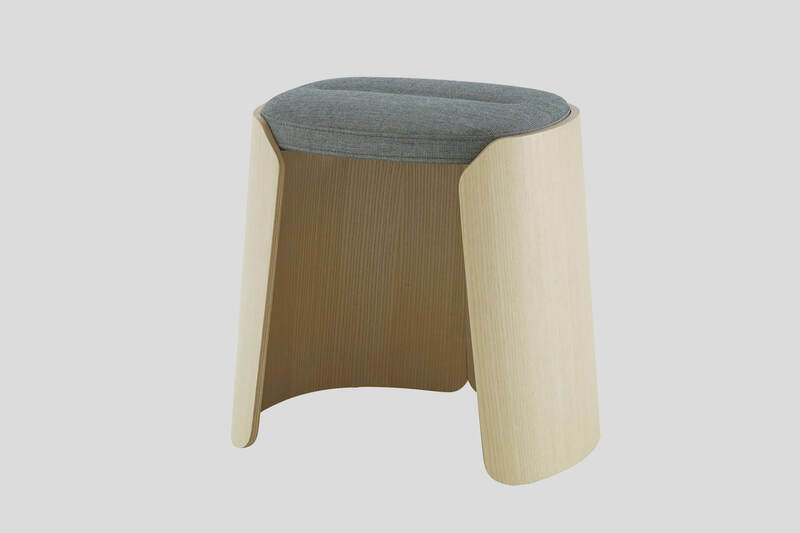 The stools and seat pads are accessories for work and relaxation spaces. 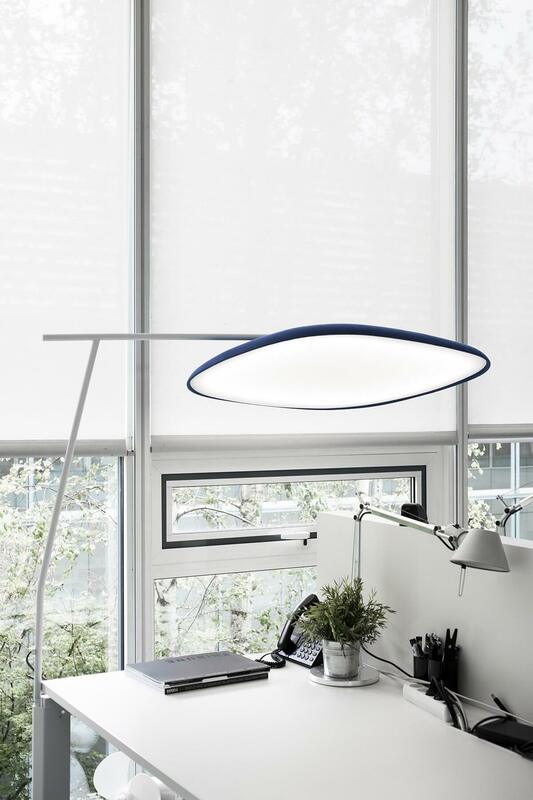 The light fittings resemble vast petals, providing the ideal light level and a necessary intimacy in the big open-plan areas. 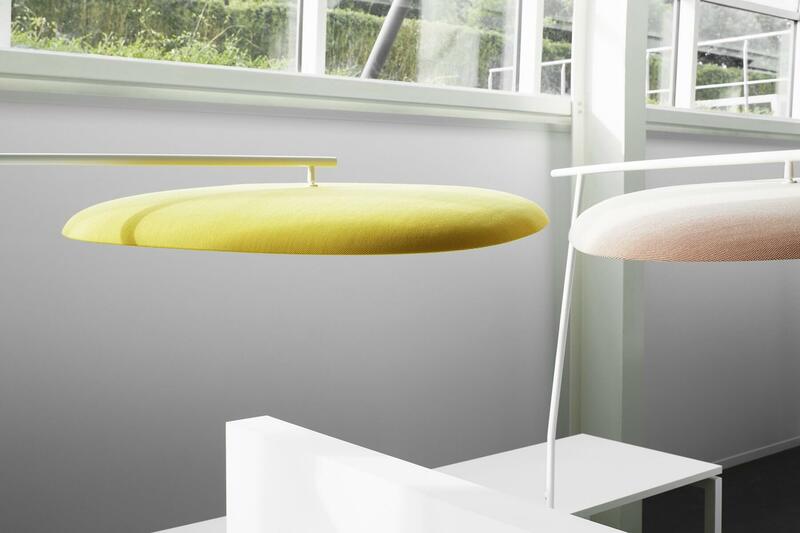 This range of furniture was manufactured and produced by Ligne Roset. 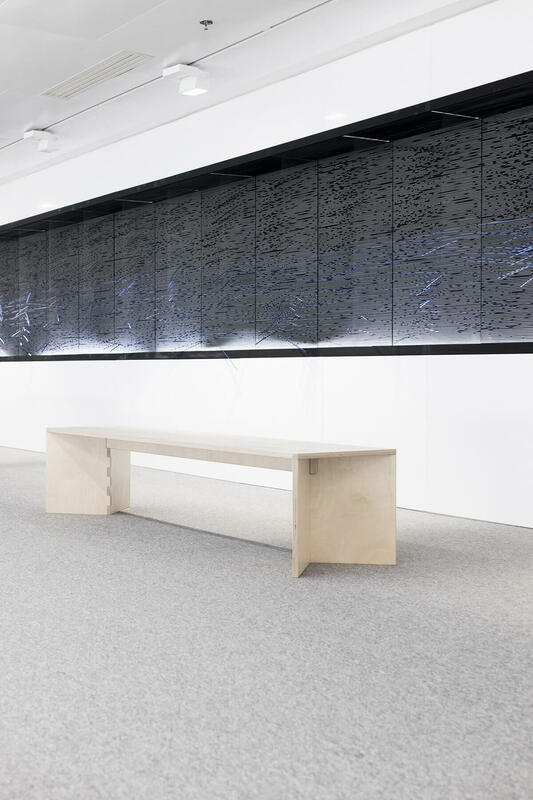 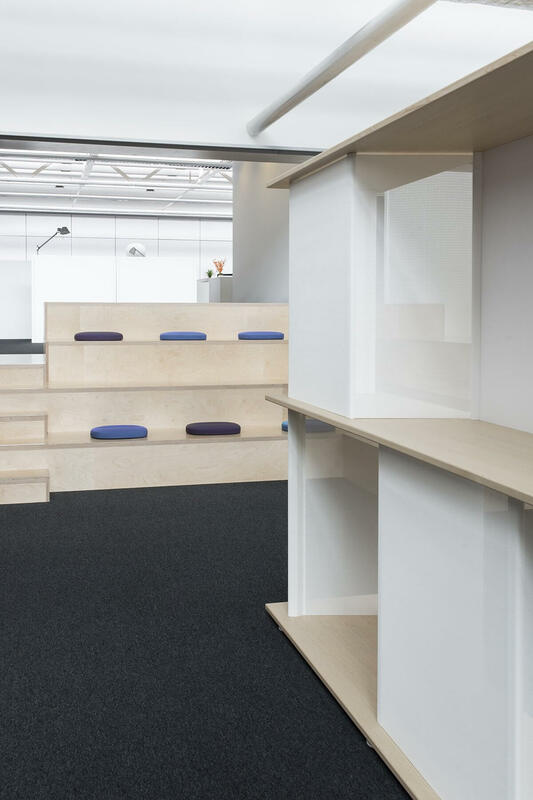 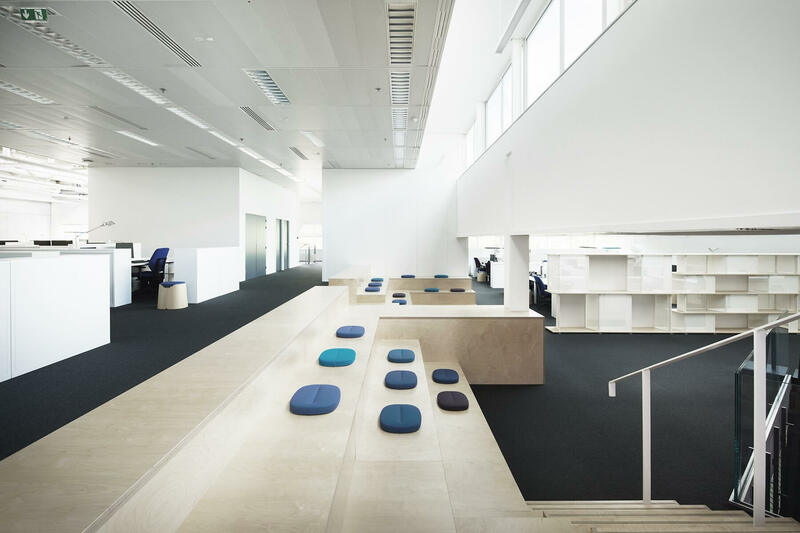 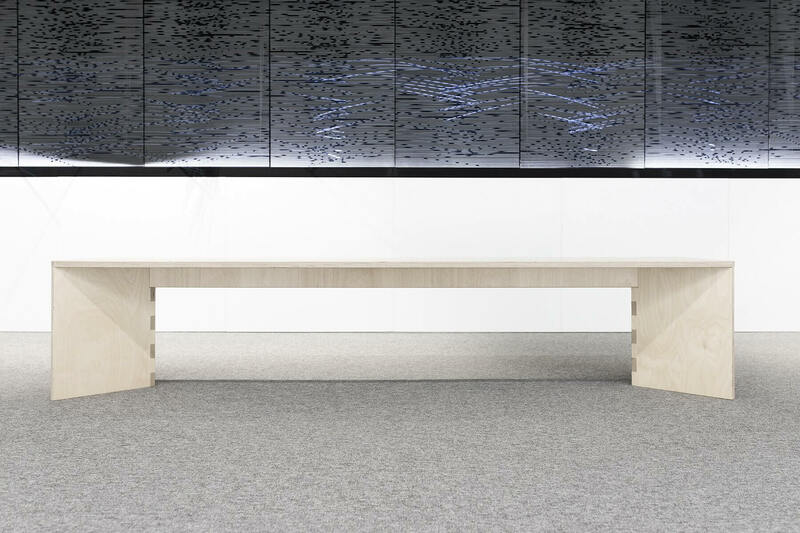 We designed the custom furniture: display benches, reception desk, tiered seats and a modular shelving and screen system in Batyline fabric (manufactured by Ligne Roset). 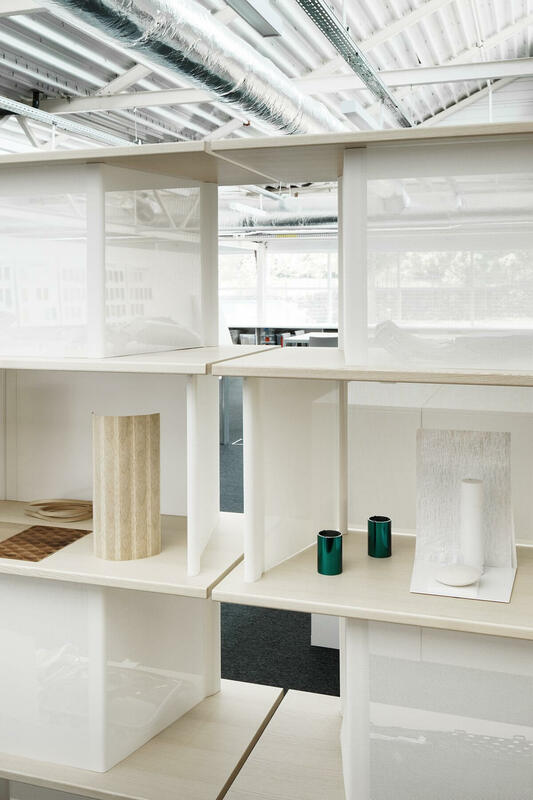 This storage system, by combining various modules, offers horizontal and vertical display surfaces, storage areas and tucked-away corners. 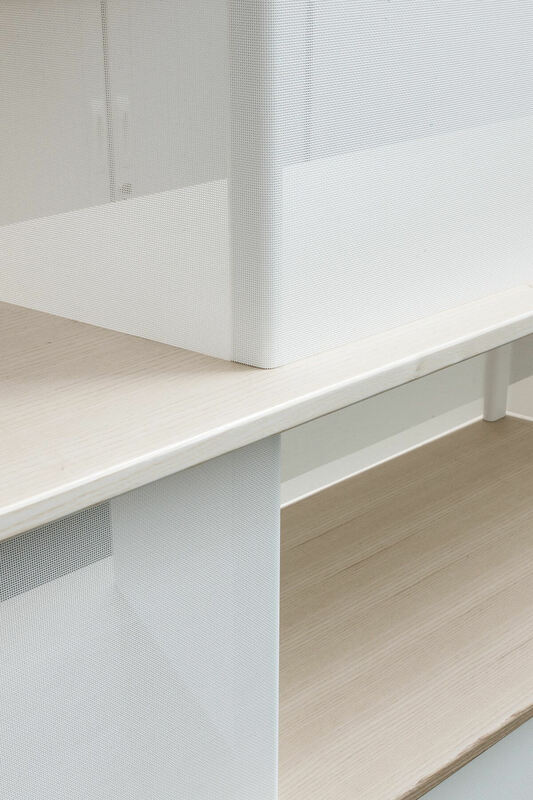 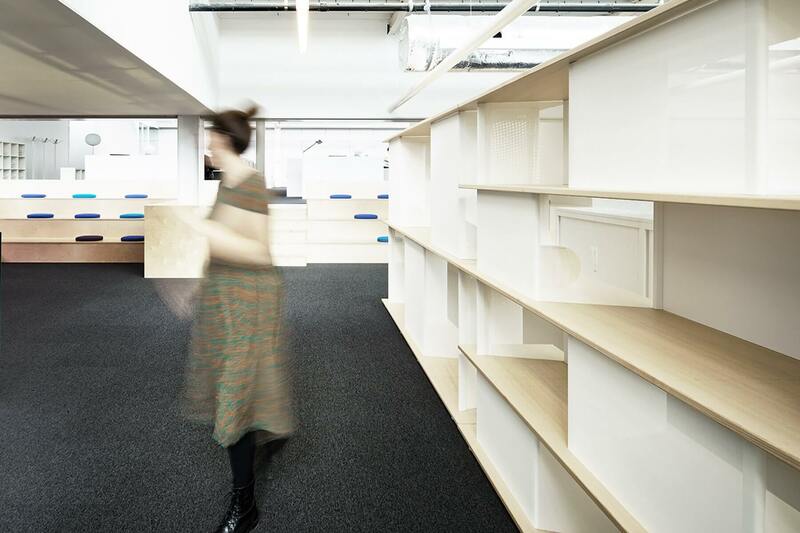 The semitransparent fabric of the shelving system complements the graphic background of the glazing. 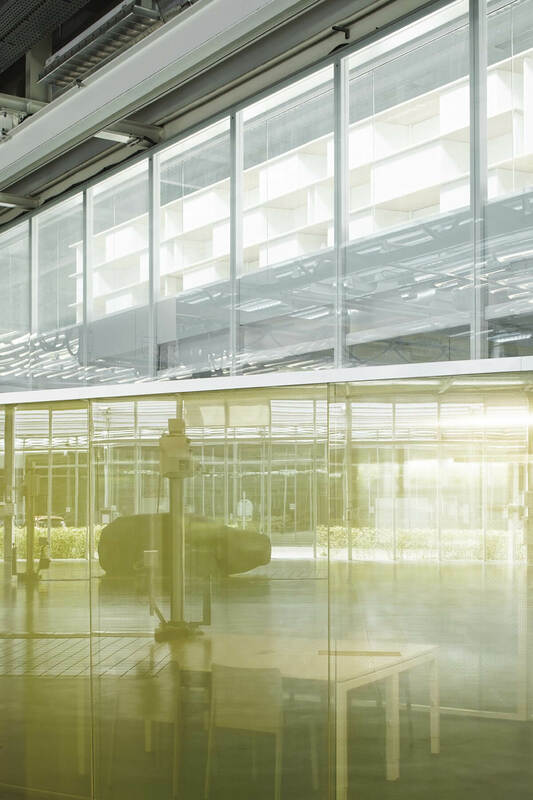 Additional overlays generate the; different levels of opacity needed for the building.